I have never been a fan of zombie apocalyptic movies. The most recent zombies related movies or series that I watched such as Resident Evil and 28 Weeks Later left a bad aftertaste in my mouth because I thought it was too unrealistic, gory and sadistic in nature, where all the movie does is to show how people die from zombies without any plot points. Zombieland was fine, but merely because it tried to portray the entire zombie movie genre in a sarcastic manner. However, when I heard about the premise of the latest zombie movie to be released starring Brad Pitt about how humanity is trying to combat the zombie outbreak, I was intrigued. Rarely does a zombie movie adopts a large scale focus, often depicting the perspective of a small group or a person trying to survive rather than explaining how the world is doing. And since I'm a fan of big scaled macro focused movies, I ran to the cinema to catch the movie the first day it came out (this review might contain certain spoilers). I never read the book of which the movie is based on before, I thought the movie was pretty decent on its own. 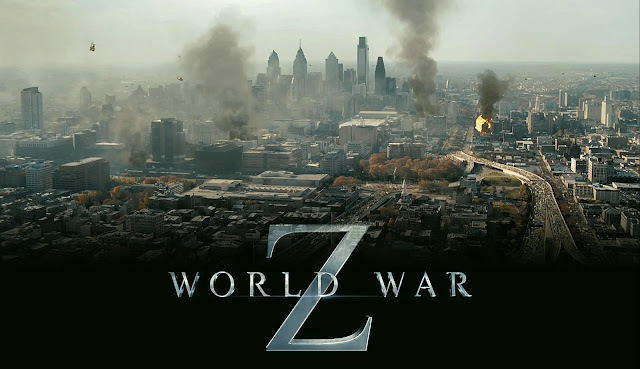 In general, it adopts a different approach than traditional zombie movies where instead of merely surviving, the story follows the path of the main character as he works to uncover the source of the zombie infection and possibly find a way to stop it, which I personally loved as it adds a layer of mystery and detective work to the plot in addition to the action. It's like watching a detective movie where you are trying to guess how to stop the zombies together with Brad Pitt, and the movie manages to leave hints of the solution throughout the movie to let the audience try and crack the mystery without giving away too much clues. When the final twist was revealed, I was like "How come I did not think of this earlier?" as the clues are stuff that you would only notice if you are paying attention to the details to the movie. Fans of movies such as Sherlock Holmes might like the detective part of this movie. I enjoyed it. 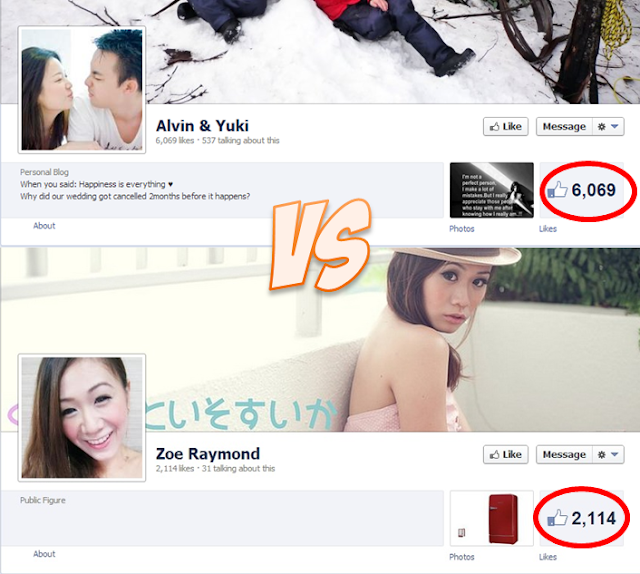 Of course, like any zombie movies, there's plenty of action and teeth clenching fingers biting moments. The movie jumps immediately to the action without too long of an introduction and takes the audience to various places in the world plagued by the infection, focusing each on different aspects and situations. I loved the diversity that is portrayed in the film, it never stays too long at a location and offers you different zombies in different settings to keep the action alive and fresh. I also loved how the film focuses on the survivors' story in each of the different locations, giving you a glimpse of how other people besides the main character coped and survived. However, there are some plot points that I do not understand from the film. For example, Israel, being the first nation to successfully contain the situation, fails to realize the most fundamental feature of the zombies, that they are drawn to sound and allows a loudspeaker system to be installed at the entrance of the refugee place. I mean, seriously? 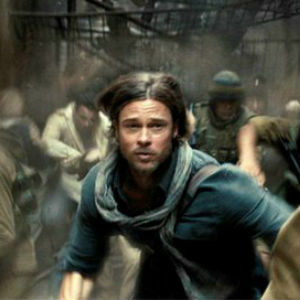 It seemed to me that the entire purpose of that scene is to allow the spectacular escape of Brad Pitt from Israel. With that being said though, the film has all the elements to make it enjoyable and thrilling at the same time. The late plane refueling effort in an abandoned military camp, the enormous zombie wall scaling moment, the scene of entire cities going down and the walk in a zombie infested building to retrieve an item. It's like all of the Left 4 Dead missions being squeezed into one film, where you're constantly sitting at the edge of your seat wondering what will happen next. I'd give it 8/10 for the action, excitement and mystery, and looking at how the fans are complaining about how the book is totally different, I might consider giving the book a try too.